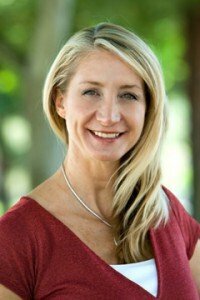 Dr Ellen Rencher is the owner of Chirofit, and has been practicing Chiropractic for 21 years. Dr Rencher’s background includes Exercise Physiology, Director of Cardiac Rehabilitation, and Postgraduate training in Functional Medicine and Clinical Nutrition to offer a complete Health, Weight loss and Wellness care center. In all her treatments Dr. Rencher’s focus is on finding the root the cause of your pain, ailment, limited range of motion, hormonal imbalance or weight issues. As a Gonstead Certified Chiropractor, Dr Rencher has trained other chiropractors and students in this technique. Dr. Rencher has helped resolve difficult cases that were not resolved by other chiropractors and physicians, for conditions such as disc injuries, pinched nerves and sport injuries. Dr Rencher’s extensive training for Functional medicine includes: Applied Clinical Nutritionist in Functional Nutrition from the Texas Chiropractic Postgraduate Program, Postgraduate Diplomat and member of the Functional Medicine University, and additional training with Dr. Hyman and Dr. Bland’s Functional Medicine Institute program. Dr. Rencher is always giving. She takes time to participate in Chiropractic Missions offering free care in Mexico and Brazil. Has taught the Gonstead Technique to chiropractic students and doctors nationwide. She continues to assist in Gonstead programs for students in the Bay Area, Dr. Rencher has been a guest speaker at various Bay Area Corporations, Health Clubs, Rotary Clubs, Charity Groups and Life Chiropractic College. Dr. Rencher offers presentations for patient education on topics such as digestion, cardiovascular, female and male hormonal balance, fertility, weight loss, detoxification, nervous system conditions and children’s health.